Download the episode (1:12:06) here. I am FluffyFibers on Ravelry and the podcast has a Ravelry group and forum. Links to social media are in the blog’s sidebar. 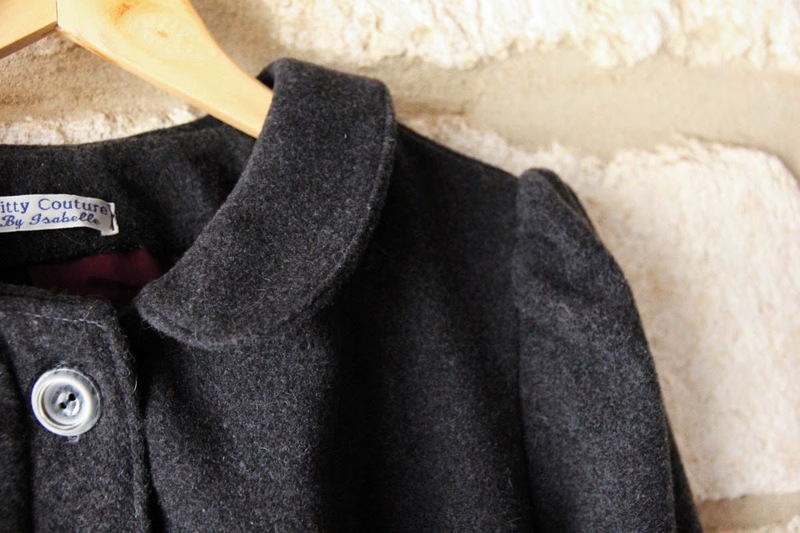 – Pavot jacket by Deer and Doe. I mention Claire Shaeffer’s Couture Sewing Techniques, and Tany’s blog. – Matching gifties for my daughter and the Playful Tot (to be shared next time). – I also mention the Cosmopolitan Dress by Hot Patterns. I made mine back in 2010 (not 2009, as I say on the podcast). Lavanda WIP – not the most up-to-date as it is now at knee length but I liked the light in this picture. I realized while writing up the shownotes that I had actually already finished this at the time of the previous podcast! I decided to keep the segment in nonetheless in order to mention the Knitvent collection. 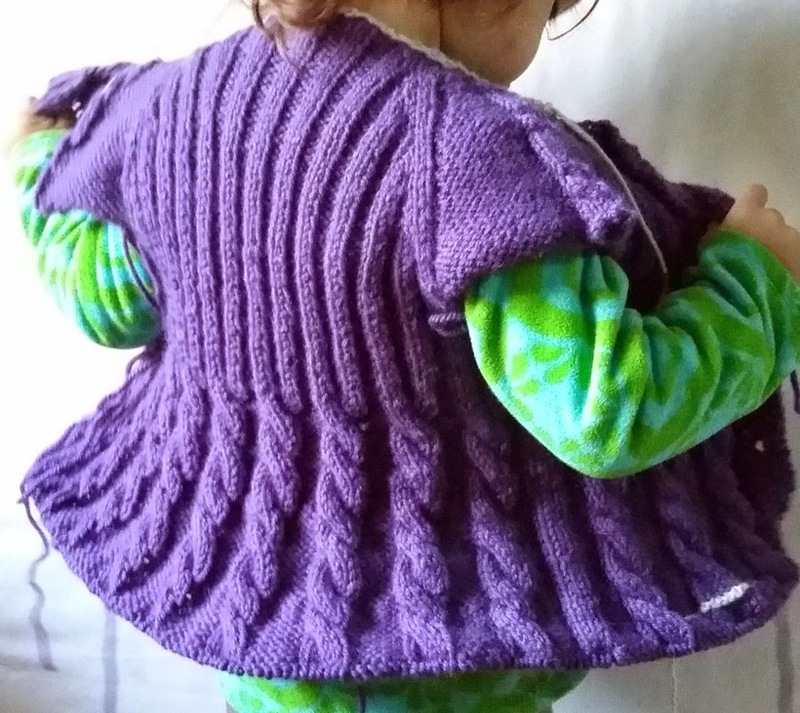 – Lavanda jacket by Elena Nodel, for my daughter. I am making the long, hooded version. Forgot to mention the yarn – it is Basic Sport by Katia. I plan to participate in the Selfish Single Skein Along organised by A Playful Day. 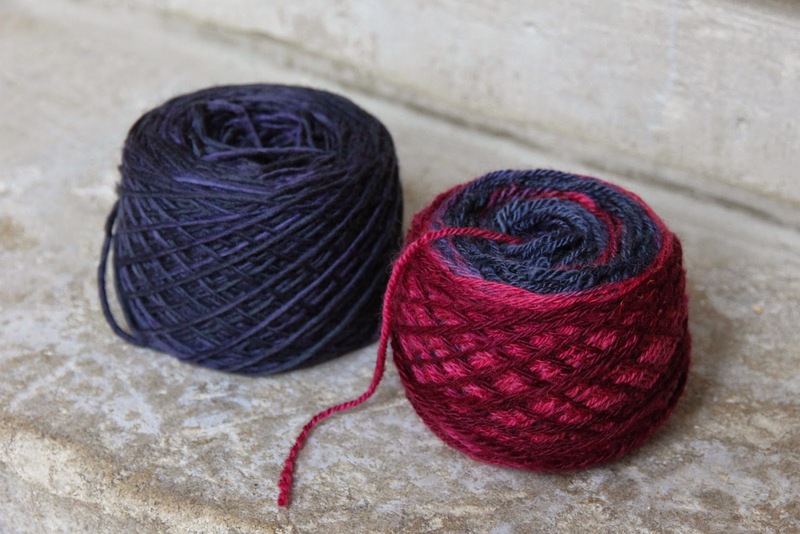 Planning to knit a small Daybreak out of my handspun and Malabrigo Worsted in Parisian Night. I spun just a little bit more on my Catherine Howard fibre blend by Hilltop Cloud. My humble two cents on a few things to consider when purchasing a sewing machine. Colette Patterns are launching an online magazine, Seamwork. I was finally able to visit L’Oisivethé during a trip to Paris. My friend Sylvie has started a podcast in French about sewing, knitting and tea. I give a shoutout to the very wonderful Yarniacs. 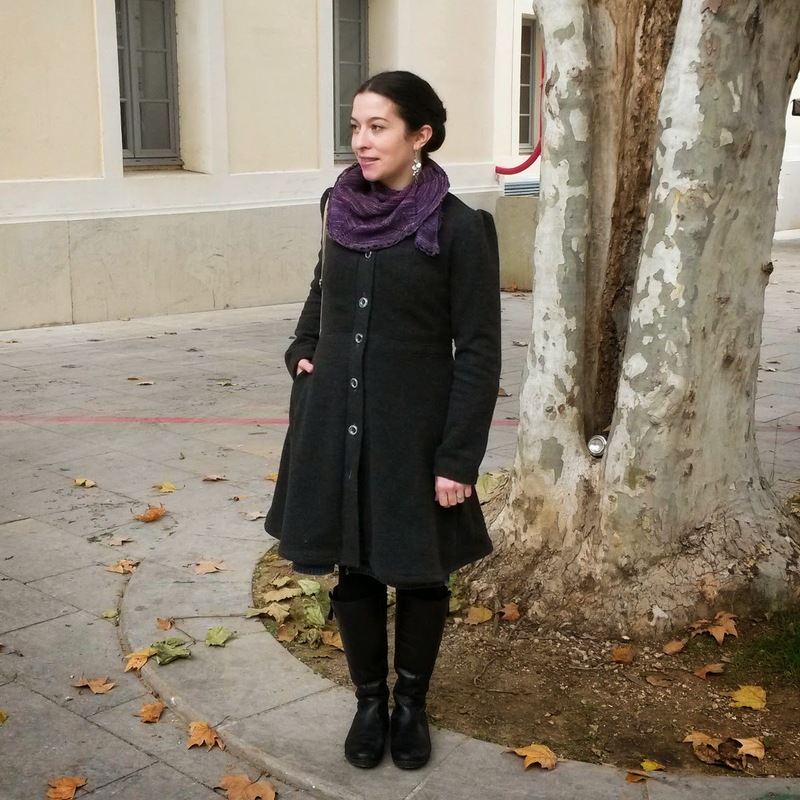 I love your coat and would never have thought of such a beautiful adaptation to that pattern! Thank you again for such a lovely and informative podcast. I absolutely *love* hearing the detailed sewing information – inspiring!